News – Page 29 – DLRP Roundup! We’re back! 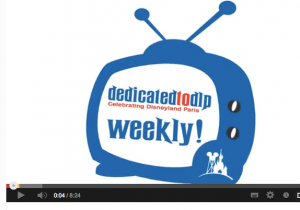 – AECOM Figures released, DLP 5th Busiest Park in the world! After a brief unscheduled trip and work course, I am back to blogging! Sorry for the break! However with the break comes some rather exciting news from the latest AECOM (Data gathering) report on Global Theme Park attendance. It’s worth noting this is all speculative data sourced from multiple layers of investigation. So take it with a pinch of salt, but it’s the best we have! So we start off pretty good with the Walt Disney Company being up around 5% taking the lions share of the market with 126 million visitors last year, spread across its world wide resorts. Especially considering thats out of a 357 million visitor pie. Disneyland Paris gets a nice 2% bump on the year before, bringing in an extra 200,00 visitors on the year before. What would 200,000 extra daily visitors do to your finances? Potentially an extra €7 million based on average spend data from the last fiscal report. An extra 547 guests a day, probably not the amount that Disneyland Paris had hoped that the 20th would bring. With 30,000 guests a day now on average though the resort still looks poised strong. Disneyland Paris holds the two tops spots for attractions in Europe, with Walt Disney Studios also growing nearly 2%. Disneyland Paris also have announced Ratatouille coming in 2014 which will feature an entire Parisian landscape including a new ride, shops and themed area. Secondly they’ve also put the plans forward for the Villages Nature, and more Disney Partner Hotels. Despite dropped onsite room rates, more friends will join in around the site. Posted byGraeme Spence June 7, 2013 June 11, 2014 Posted inblogLeave a comment on We’re back! – AECOM Figures released, DLP 5th Busiest Park in the world! Disneyholidays.co.uk could this be the new site? Could DisneyHolidays.co.uk be the pre-curser to what we should expect from the next generation Disneyland Paris Official Booking site? Possibly not. 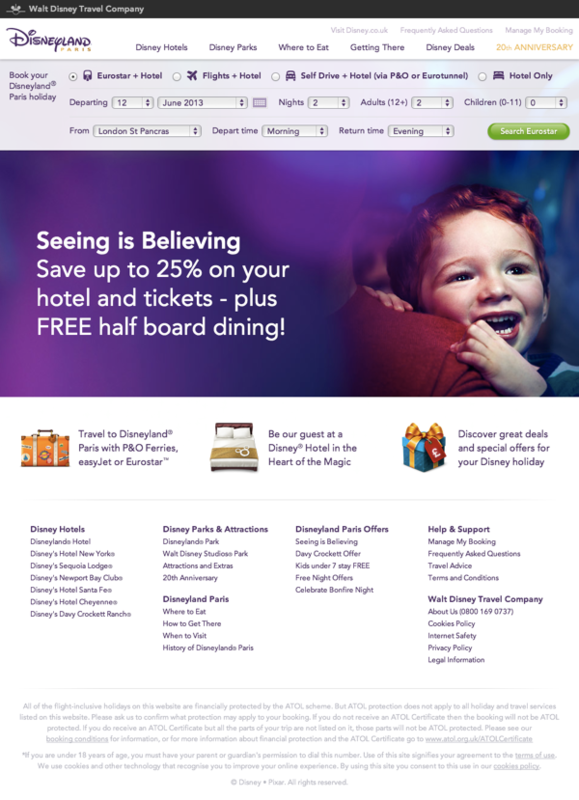 You see this booking site is “The Walt Disney Travel Company” – the very same company that run official bookings for Disney World in Florida, however now they seem to have a Paris booking site. You’d be semi-right in thinking they’re the same company, but they aren’t. When you book at the original DisneylandParis.co.uk site, you book through Euro Disney Associés S.C.A, with this site you book with “TWDTC”. However the deals on offer are identical, both companies are technically Disney, both are official. 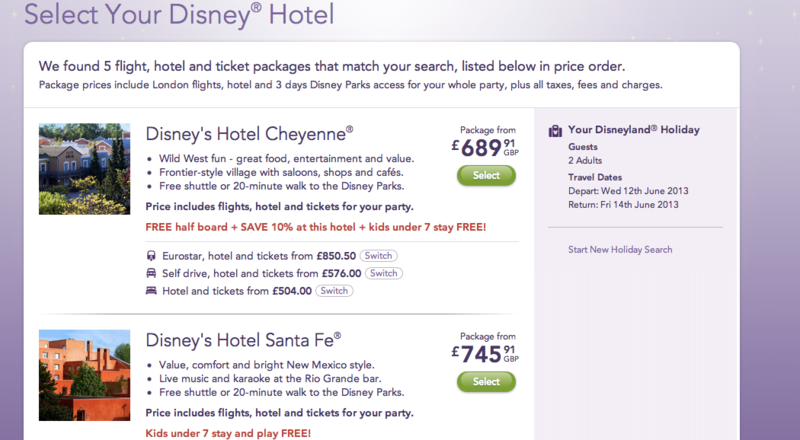 DisneyHolidays.co.uk is cheaper! – It does not include a £16 booking fee, it also doesn’t increase the charge if you use a credit card. It lists all the hotels by price, it also keeps the deals auto included at the bottom of the page. So on one form you can see the price jumps, which makes things a bit clearer than the original. It also seems to list the different costs of transport methods, it always chooses the cheapest journey for the headline price, but for my booking there was only a £20 difference in the EasyJet flights to the Air France (better times) one. Later in the process it will allow you to add on the usual suspects like your dining plan, your character experiences, and thats all in addition to your usual flight information. Park tickets, breakfast, etc are all included as normal. Last night I enjoyed it so much I made my booking for Mickeys Magical Bonfire Party and the first couple of days of the Enchanted Christmas. The minute you pay, it sends across your confirmation and booking reference. It has one bug, that is shared with all other Walt Disney sites, you MUST put a space in the postcode, it cannot be one long entry. The site also lacks any great detail on the resort. The booking process is a lot easier and lays the options out for you, its easier to use on the go and check dates/prices/times and events. Hopefully we do see it rolled out and hopefully soon people will be able to book on the main Disney.com site too. Posted byGraeme Spence May 12, 2013 June 11, 2014 Posted inblogLeave a comment on Disneyholidays.co.uk could this be the new site? In what’s felt like the longest week of the year, its been a small treat to be able to save up the new Dedicated to DLP Weekly and its brotherly podcast until tonight to finally chill down and here what Steve and Mark have to say. In this weeks episode we’re straight out the gate and back into working Disneyland Paris and Star Wars into the forefront. To be fair to Steve, if he keeps his campaign up he may force Disneyland Paris into having a Star Wars weekend. If enough people say it, it must be true! With Disney in control of the IP, some Star Wars floats could be cool, maybe a small star speeder a few times a day in a built up Star Wars land, along with Jedi Academy! (Sorry tangent being followed, inner geek now suppressed). Steve moves on to mention that a new website is coming for the official booking site. A quick look at the latest with Ratatouille (something we’ve deliberately never covered), a little on the fantastic @dcjoivil‘s new blog with pictures of Disneyland Paris. Some rantings on pins – in which we totally agree. Spare yourself ten minutes and get a quick catchup.